Are you experiencing an issue with one of the products from Microsoft? Do you need assistance for a Microsoft product? In this guide, we will see how you can chat with Microsoft support team online to get your query resolved. Generally speaking, when you have an issue with a product from Microsoft or other company for that matter, it’s always a good idea to search the web to check if it’s a common issue and if easy solutions are available to resolve the issue. You should contact the developer or Microsoft only when you are not able to fix the issue yourself even after trying all the methods available on the web. There are a couple of ways out there to get assistance from Microsoft support. You can either make a call to Microsoft’s helpline numbers, send an email to the support team, or use the online chat. 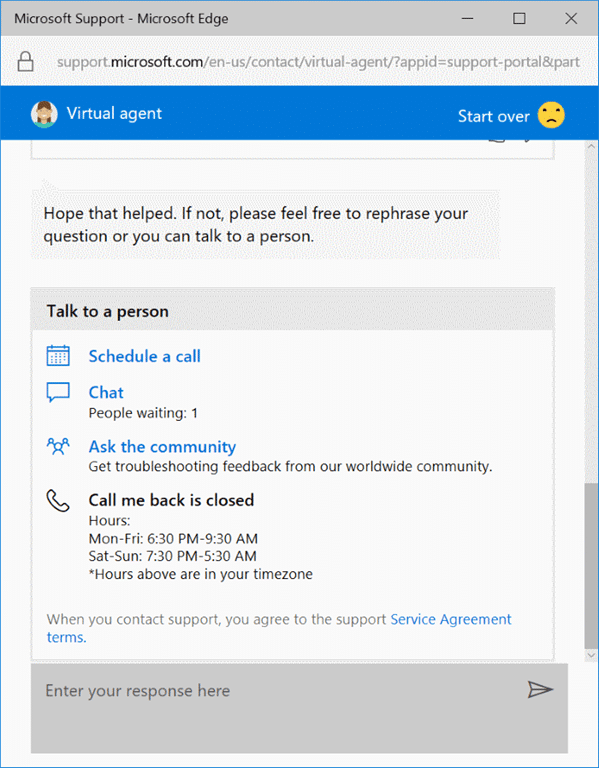 If you are on Windows 10, you can use the built-in app to chat with Microsoft support or schedule a call back from Microsoft support at a scheduled time. 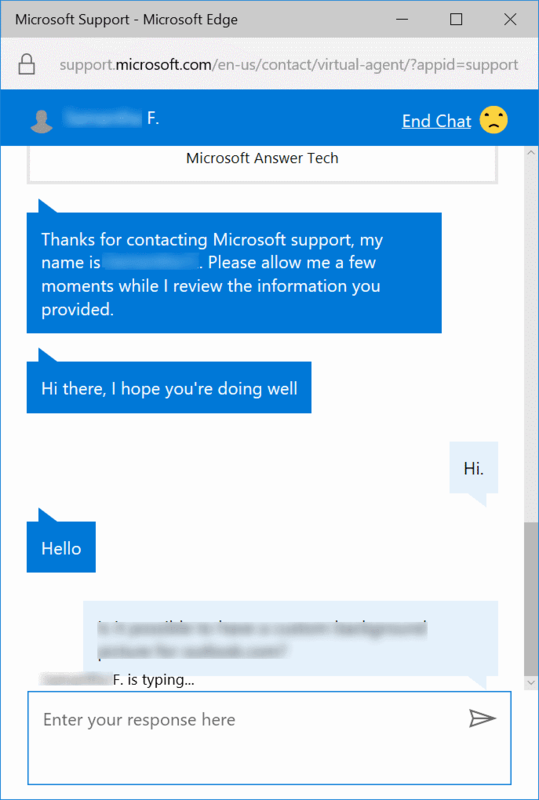 Of the all available support types, the chat is probably one of the convenient ways to instantly contact a Microsoft support person. The benefit of chat support is that you don’t need to spend a single penny on a voice call. Besides that, many people don’t feel comfortable speaking to an unknown person. 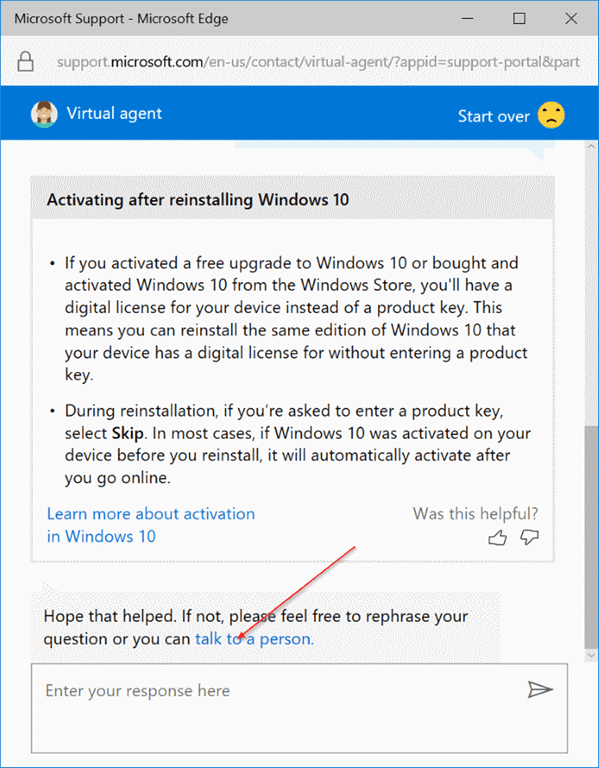 To start a chat with Microsoft support, you don’t need to install any software or extension. 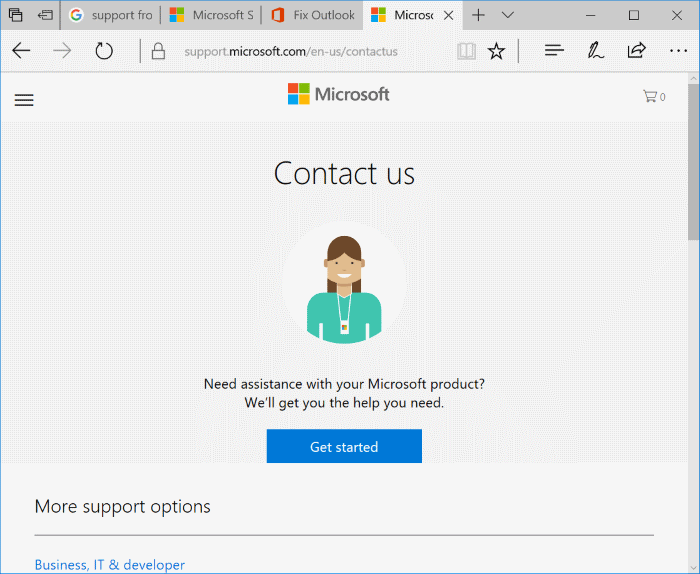 You can use one of the web browsers to connect to Microsoft support team over a chat. Step 1: In a web browser, visit this official contact us page of Microsoft. Step 2: Click the Get started button to open a new browser window. 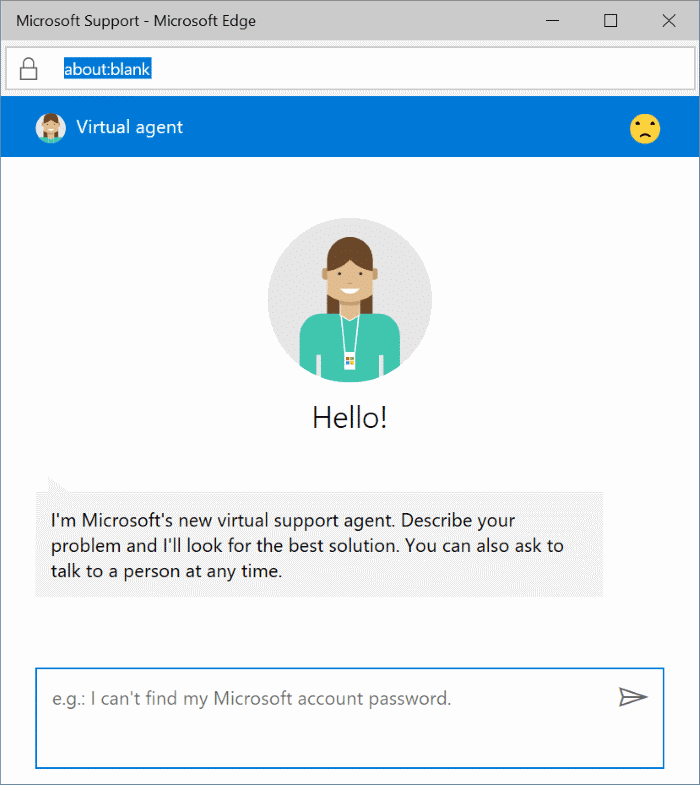 By default, Microsoft’s new virtual support agent welcomes you. Follow the next two steps to chat with a support person instead of a virtual agent. Step 3: In the box, type in your query and then press Enter key to send. Wait for a few seconds to get a replay from a virtual support agent. Step 4: Once you get a replay, you should see “Hope that helped. If not, please feel free to rephrase your question, or you can talk to a person” message. Click on the talk to a person link. NOTE: If “Hope that helped. If not, please feel free to rephrase your question, or you can talk to a person” message is not appearing, don’t worry. Click on one of the given solutions (links) to see the message. Step 5: When you click talk a person link, you should see the following options. Step 6: Click on the Chat link to begin chatting with a Microsoft support agent. As you can see in the picture, the page displays your current position in the chat queue. During a support chat, at any time, you can leave the chat by clicking the End chat option. Don’t forget to leave your feedback at the end of the chat to help Microsoft improve their support system. In addition to online chat, you can also use the built-in Support or Get Help app in Windows 10 to chat with Microsoft support team. hey when I run my installed game it show code execution cannot proceed XINPUT1_.dll was not found what should I do. Please help me. I purchased the Windows 10 Pro through online. I would like to have the registration code of my OS. Can you send me a version of messenger for my windows 8 phone please. And a facebook update. I have the Lumina 640. This is really urcking my nerves. Please.